Nicely nutty. Walnut skins. Chocolate. Caramel. Thick, rich toffee. Quite a Cadbury caramel bar experience on the nose initially. Clove & Stem ginger in the spices. There’s quite a bite to the nose with the cask strength ABV. There’s a cooperative toasted brown sugar sweetness also. Some rum and raisin. Dates. Soaked plums. A traditional Glendronach in the sherry monster dept. Immediately dry and fruity. Lots of dark dried fruits. Raisin, sultana, dates. Very chewy. The development gets a little warm in the alcohol department but soon subsides, to gives layers upon layers of deep nutty warmth and chocolate confectionary. 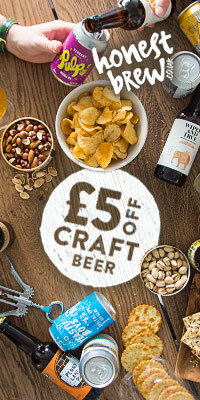 Brown sugars, chewy toffee, all the while with a nutty intensity and creamy, thick mouthfeel. Long. The sherry infused fruits hang around for a little while followed by lots of nuts and chocolate. It’s almost fruit and nut bar in the finish. Still intensive all the way through to the end. As you get used to the ABV (and it doesn’t take long) the dram becomes more and more flavoursome with no water. But in adding a few drops we get even more spicy and sweet intensity to the nose. On the palate the fruits are thicker and more prominent, with even more spices during the development. The finish, still long, retains more spice and fruity bite. I’ve tried most of the Glendronach cask strength batches, and from memory, this one suits me the best. It’s a very intensely tasting and invigorating experience. There is a lovely balance of flavours and some delicious variation when diluted. Highly recommended, it’s one of, if not the best (in my opinion) of the cask strength sherry monsters out there. Thanks so much to Glendronach for providing the sample. Sparking wine casks?! Can’t say I’ve heard of that one before for a whisky maturation (let me know if you know different. I’m intrigued!). Let’s sip and savour. The wine maturation is evident. It’s very winesky! Quite different from a traditional whisky point of view. But that’s not a bad thing. There’s some very definitive grape skin, on the sour (but pleasant with it) side. It reminds me initially of cider brandy, lots of apples and farmhouse cider, with a hint of old warehouse/barrel storage. Not quite dunnage, but more farmhouse storage. Deeper in we have some rich honey and pepper spice. Quite spicy on the nose, with some hot cinnamon. More depth coming in time and some darker fruits and red berry jam. A little toffee. There are some Danish pastry notes. Sultanas. Pain au raisin. Very different. Arrival is thick and jammy fruits, lots of red berries, some light cherry coke, touches of orange, with a little spicy warmth. Development moves into thicker toffee areas, with some more dark fruits, dry raisin, dry plums. 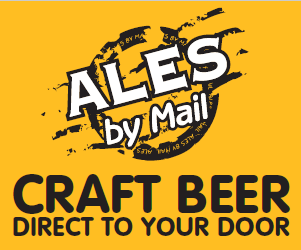 The mouthfeel is middling to thick and very spicy throughout. Touches of sweet ginger ale. Fizzy (is that the sparkling wine?! :)). Jammy fruits, ginger ale and cherry menthol fade out for a medium-long finish with some drying tannins and a touch of sawdust warehouse feel. A few drops added. The nose is less cider brandy now and much more summer fruit jams. The palate seems a little thicker and creamier, with some added custard texture to the heavy fruit jams. Less spice for sure and more easily accessible. The finish still has a touch of effervescence to it, fruity and quite pleasing. Well worth another sip or 4. This is a unique whisky. Quite special and at first a little unusual, but in time and getting to know it, this whisky becomes very appealing and moreish. There are some lovely fruit jam notes throughout and a lovely warmth to the finish. Differently delicious. Thanks so much to Jura for providing the sample. Well this is interesting. 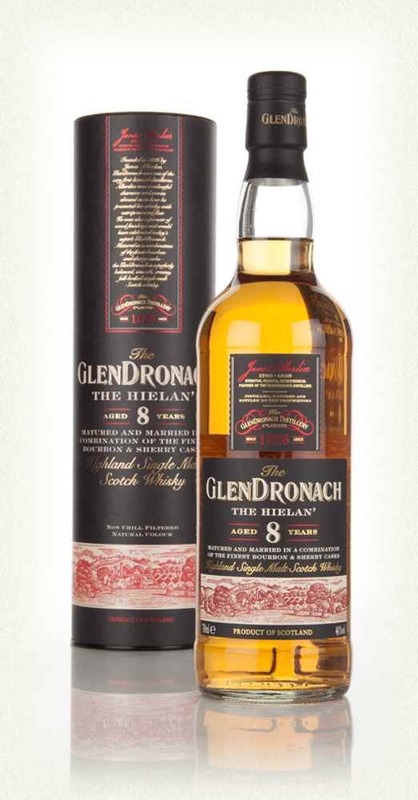 A new addition to Glendronach’s core range. A younger whisky, aged statement even though it’s a younger 8 year old whisky (good). A mix of bourbon and sherry cask maturation bottled at 46% (very good). Non chill filtered and no adding colouring as standard for Glendronach (very very good). 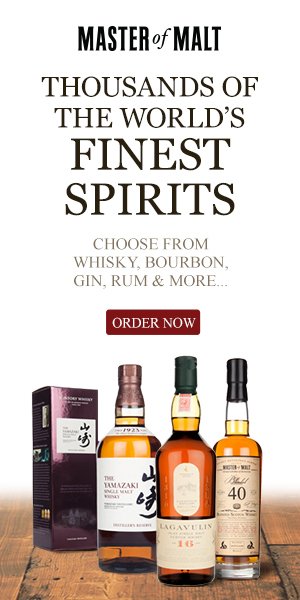 Is it no wonder these guys are one of my absolute top favourite distilleries?! I’m excited. Let’s go taste. The youth is immediately evident. There is spirit on the nose. It’s a very nice spirit. Ripe green fruits, apples, pear, a touch of apricot and mango. There’s quite an ethanol pinch in the nose, it’s young. That’s ok. We have some fruitcake, plum and alcohol rich sultanas influenced from the sherry cask, with some pleasant clove presence. There is some vanilla and citrus oak. It’s nicely complex and explorable. Arrival has a lovely spice infused fruit. Lots of dried fruits, fruitcake, rum and raisin. Cherry, candied orange peel. Pepper, sweet cinnamon. Apple strudel. Creamy vanilla. Lovely rich, coating mouthfeel. This is one you can hold in the mouth and on the tongue for ages. Very chewy. It doesn’t have the harshness you would expect from a younger whisky. Medium to long length finish (again more than I would expect from 8 years old). Fruits take an age to die out, spices remain a little longer. Some citrus oak remains at the very end. I’m sure this can take water, but seeing as I’ve nearly drank my dram (it seems to get sipped at a rate of knots) I will pour a little more and add a few drops. The nose is greener now, with a touch of added pine. The palate is juicier on the arrival, less fulfilling in the mouthfeel, and greener with more apples and vanilla throughout the experience. The finish retains the green fruits. Hmmm. Personally, for me. Less water is more experience. But if you want to taste the fresh, apples and greener side of this whisky it’s worth adding some water. Very different between diluted/undiluted versions. This is a new standard dram. Session stuff. Delicious. 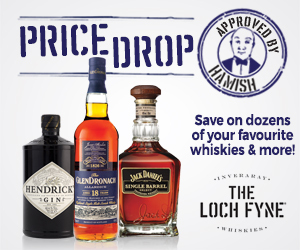 You will be hard pressed to get better classic Speyside whisky out there for this price point. Love love love it! On first pour there is rich and intense ripe mixed fruits with pineapple being most prominent. 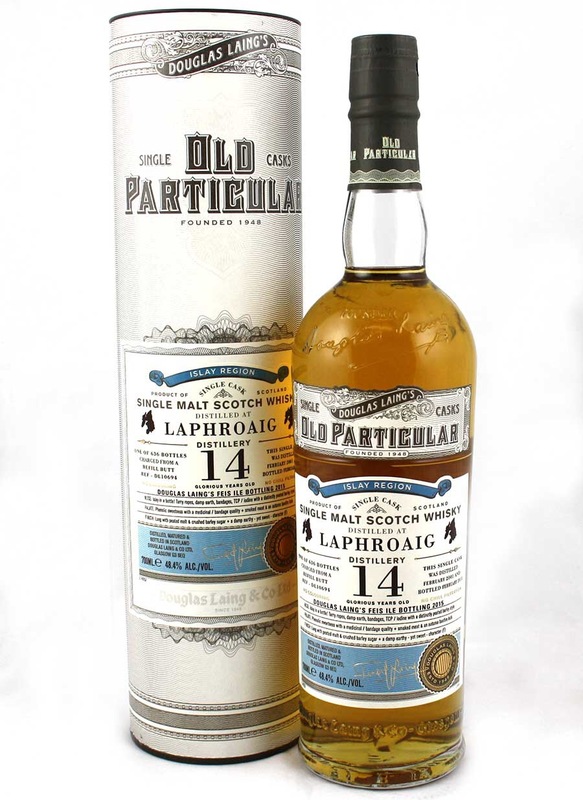 The Laphroaig characteristic TCP medicinal smoke is there, but quietened by the years in oak. Salty sea air, ozone and road tar become more evident with a little time. The fruits expand to stewed apples with touches of orange and banana. Marmalade springs to mind. With a little more time in the glass more moss and earthy elements shine through. Fruit is still very much up front, but the complexities increase as this dram has chance to breath. More time and more change. Something quite herbal now, aniseed/fennel. Some more time and more barbecue influences now, charred coals with pork fat bubbling away on it. This is fantastic and ever evolving. Arrival is sticky and sweet BBQ pork ribs, quickly turning more bitter, herbal and complex. Sweetness is still there, but turned to more of a burnt toffee/treacle. Stewed apples coated in burnt toffee (mushed toffee apple!) coming forward. Herbal notes continue to reign through the development, with some light aniseed, more akin to soft natural liquorice. Spices now awaken, touches of hot cinnamon and black pepper. Vanilla makes an appearance with some creaminess coming in. The mouthfeel is particularly coating and velvety. Incredibly complex. Very long. Warming, spicy cinnamon and creamy vanilla, gently and slowly fading with liquorice coming back, some oak finishing things off. Always nicely spicy with pleasant tingling heat, giving quite a mouth buzz. Adding only a couple of drops. The nose has a more floral nature now, with some heather. Less fruity and more smokey. The herbal elements are still present shrouded in smoke. The palate is much sweeter. More rich honey notes, less burn to the much richer toffee, very thick which suites the mouthfeel which is still very coating and viscous. The finish is still very intensive and spicy, slightly sweeter. The liquorice comes back to play. Well well, what a dilemma. Actually there is no dilemma. You have to pour two glasses and add a few drops to one of them and experience the difference first hand. Much time can be spent exploring and enjoying everything this wonderful Laphroaig has to bring. The ever changing complex nose is glorious, and the palate is sublime. This isn’t the smoke/TCP monster the 10 year old is known for being, this is its older, more refined sibling, and demands lots of time and attention. Time and attention that rewarded in droves. Equally you could spend an evening sipping this without a care in the world, because the whole experience has just transported you to a better place. This isn’t savouring a whisky. This is experiencing it. Love it. Thanks so much to Laphroaig for providing the sample. At the time of writing It’s been exactly 2 weeks since arriving on Islay for half of the Feis Ile 2015. I miss the place. 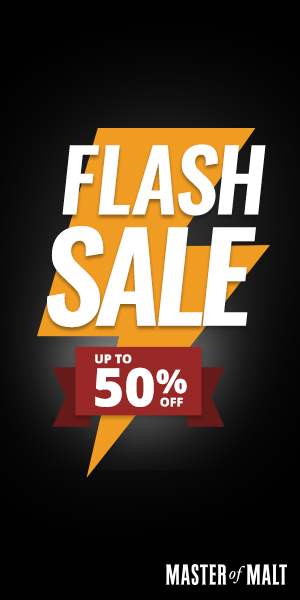 It’s an awesome whisky related place to visit. It’s an awesome place to holiday. Lots to see and do. Seriously a place I would like to retire to. And would be more than happy to retire tomorrow. Anyway. 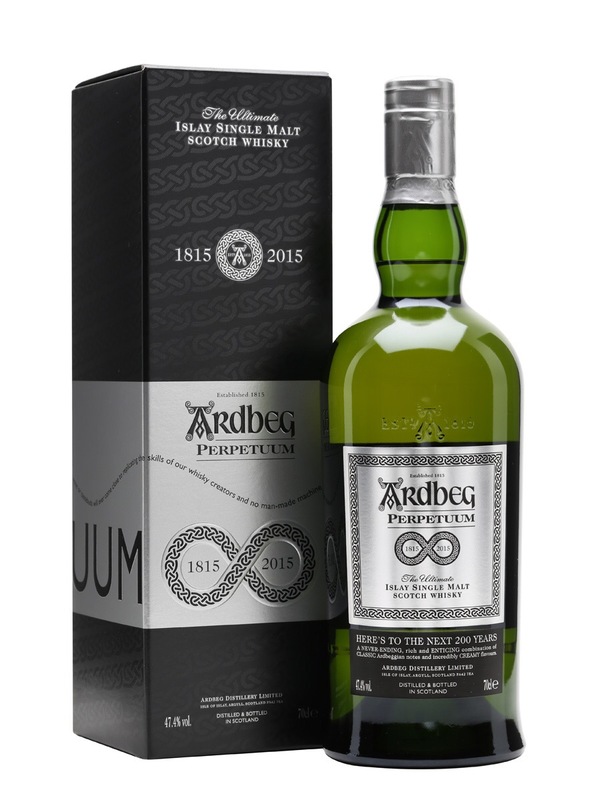 Nostalgia aside, Ardbeg Perpetuum is 2015’s festival release for Ardbeg. It comes in two variants. The Distillery exclusive version which is at a slightly higher ABV, and the retail version which is the one I’m tasting today. Creamy butterscotch. Vanilla fudge. Milk chocolate. Light peat smoke, slightly medicinal. Heather. Honey. Time in the glass and more fruit comes forward. A barrel load of green apples, citrus, lemon rind. More time and we’re back to the fudge in the foreground, and a touch of sherry. Nice, complex and evolving. Ooo, tart lemon arrival, getting sweeter as we move to development. Moss, heather floral, creamy custard. Mouthfeel is silky and fulfilling. Becoming drier as the development progresses. Some treacle toffee, dried apricot and the creamy Cadbury fudge notes are also coming through. A spray of salty costal air. Medium-long length. Gentle, floral, citrus. Some sea salt. Drying oak tannin. Little dab of very milky chocolate. A couple of drops added. There isn’t an awful lot of difference in the nose, possibly a little richer with the fudge notes. The palate is sweeter from the off, lots more chocolate, vanilla, then some moss comes in again, and we have a little more dirtier nature to the development, with a touch of engine oil. The finish is similar, with a little more oiliness and motor oil to finish off. Very competent and enjoyable. This is most definitely an Ardbeg, gentle enhancements along the 10 year old standard bottling. It’s a shame that the majority of these bottles will end up being in collections or auctioned and not enjoyed. My bottle will be opened and savoured. Thanks so much to Ardbeg for providing the sample. 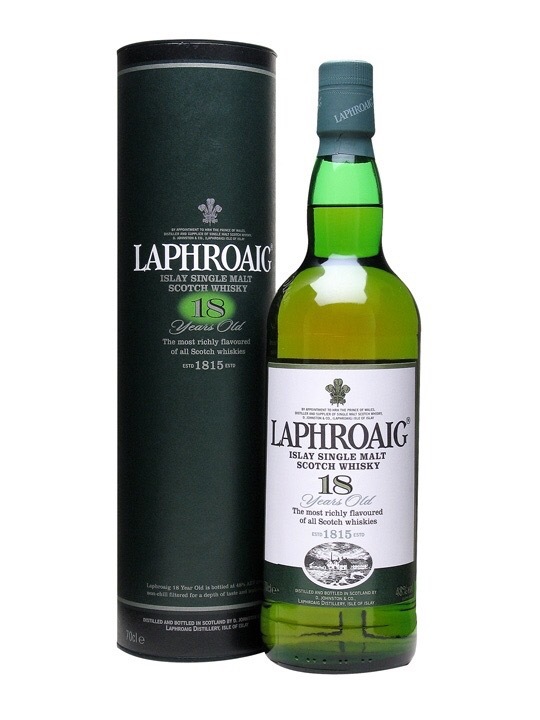 £89.00 Available from Whisky Galore at the Green Welly Stop. Peat smoke intense immediately on first pour. Shades of the very familiar TCP blast of old Laphroaig’s. Breathtaking powder, almost talcum powder, on deep breaths. More time and sweetness comes through. Confectionary sugar, some apple juice. More time and a cover. Mossy earth now, dirty and dry with ashes of burnt peat. Some cigarette ash. Touches of heather on a damp day, some floral sweeties, nearly Parma violets, but not quite. There’s a lot of clean crisp fruitiness underneath. Good start! Arrival is sweet and like chewing hay with some earth thrown in. Development things get drier and more bonfire smoke, apple jam/chutney, some sultana, a mixed fruit pie contents, touches of vanilla. All the while with an overall sense of having your head in a bonfire. Then things get a little lighter and more floral and your back out in a heather field with sea air. Complex and long. Medicinal floral throat sweets. Light fruits, some oak dust amongst powdered sugar, medicinal again, almost like a throat anaesthetic spray. (Damn, should have had this when I had a bad throat a few weeks back). Gently fades, with an edge of freshness, and a feeling to return. I’m enjoying it too much. Ok, just a small drop then. More medicinal elements on the nose now, a little added TCP. There is more of a stewed nature to the fruit elements. And the whole nasal experience is enhanced. The palate is similarly enhanced, and has even slightly more oiliness to it, there is some added creaminess and is fruitier, but there is also a tad smidge of bitter oak. The finish is richer, has some added vanilla fudge and is quite glorious. Ok. It should have the tiniest (and I literally added one drop) water added. There is a great Islay feel to this dram. It transports you to the country, near the sea, and gives great enjoyment. Lovely stuff. Money wise it isn’t the cheapest for its age, but there is depth here and it had made me quite nostalgic for my Islay memories. Thanks so much to Douglas Laing for providing the sample.